A-PDF Deskew provides a quick way to batch correct the skew in scanned images from Acrobat PDF documents or TIFF files. It detects tilted images and straightens them automatically. A-PDF Deskew opens a PDF/TIFF file and automatically checks if images inside are skewed, then corrects the skewed images using a special algorithm. Please Note: A-PDF Deskew works only with the scanned text-print image. Other images such a picture or photo may cause error. Click "Deskew" or "Deskew and Save as". As well as time-saving by allowing you to create an 'import' list for frequently used sets of documents to which you want to add specific additional PDFs or TIff images to be deskew. Handles a batch of files at one time. Uses optimized algorithms to speed the processing. 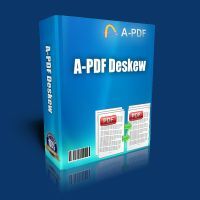 A-PDF Deskew is a standalone program costing only $27. It does NOT require Adobe Acrobat Pro, which costs hundreds of dollars. A-PDF Deskew Command line (pdfdwcmd.exe) is a Windows console utility that Deskew the PDF or Tiff file. The pdfdwcmd.exe is included in the download package already. You can find it at the installation directory, generally, it is located in C:\program files\A-PDF Deskew. 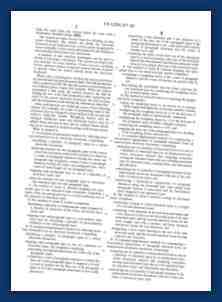 Input File: Source PDF or Tiff file. [-S<password>]: Password of source PDF file if application. output file will be same as the input file. [-A<Angle range>]:Deskew Angle in degrees. 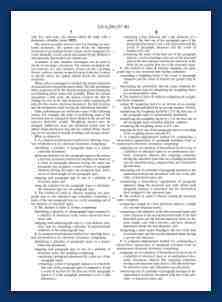 [-Q<JEPG Quality>]: Default is 85.